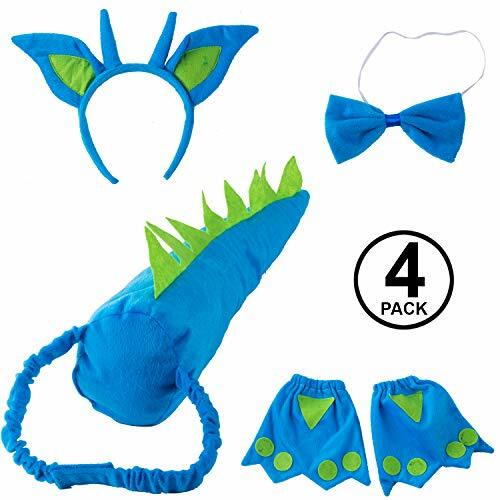 This adorable green and blue costume include ear headband, cuffs, bow tie, and tail. Dragon costume is unisex and is one size fits most children 4+. Hand wash costume set in cold water and let air dry for best results. Realease your inner lion with ease with this larger than life elope Originals Deluxe Lion Plush Tail. 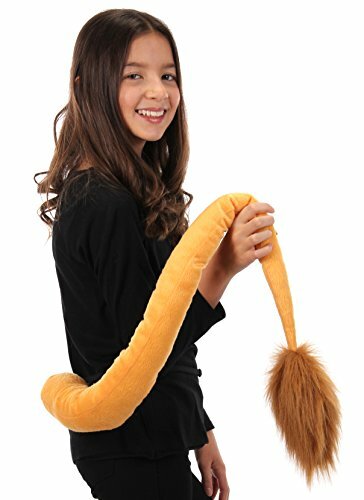 Featuring an easily adjustable elastic waistband, securely locking clip, and fuzzy plush fabric, this tail is perfect for lion cubs or lion kings. 100% Polyester fabric with elastic waistband and plastic clip Safety tested for ages 3+ One size fits most Tail measures 37 from base to tip of tuft Essential costume accessory for: Lion, Lioness, Gryphon, Sphinx Fabric designed to match other elope Originals liion separates Spot clean only SHARE LAUGHTER: WEAR HAPPINESS In 1993, elope's founders created a company dedicated to a vision of happiness: everybody's laughing on planet earth (e.l.o.p.e). 25 years later, it?s that same delight in adventure, joyful gift ideas, and passion for creative costumes that inspires every product decision.TAKING FUNNY ACCESSORIES SERIOUSLY At elope, we?re not just in it for seasonal Halloween costume accessory or Christmas accessory. We're committed to transforming the world through responsibly sourced silly hats, easy costumes, and kids dress-up items as wearable art. 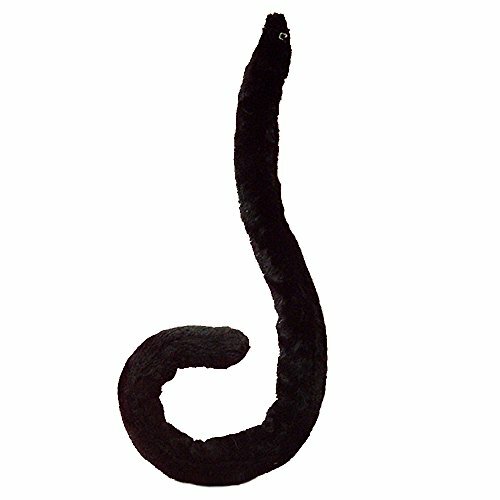 We like to be inclusive by designing accessories for men, accessories for women, accessories for children ? everyone! Keep on laughing! 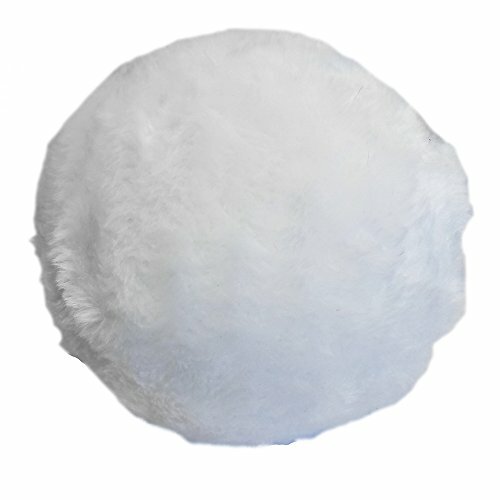 #laughwithelope"
This bunny tail makes a great costume accessory due to its large size-really makes a statement! 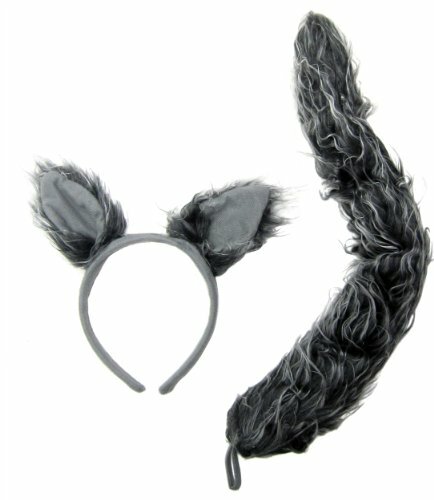 Set free your inner wolf in this wolf ears and tail set! 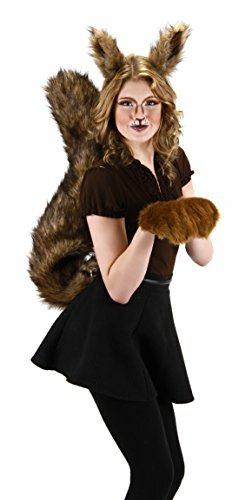 This costume kit includes a pair of gray wolf ears on a headband and a fluffy wolf tail. Intended for ages 13 and up. 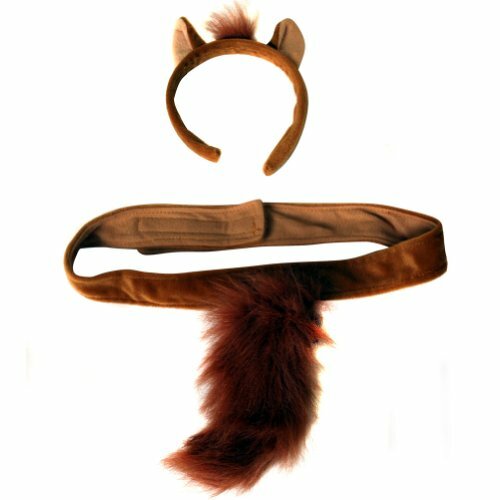 Includes headband ears and tail set. 100% polyester. Imported.This product is safe for children age 3 and up. Please measure the waistband in advance to determine if this will fit. Recommended for waists that measure approx. 22-24".